The Ghimlyt Dark is a level 70 dungeon implemented as part of Final Fantasy XIV’s main story quest in patch 4.5. It is unlocked via The Face of War quest. At start, your party finds themselves in the trenches of a very active battlefield with a few familiar NPC faces along side you. Never be afraid to take a dungeon at your own pace, but for the purposes of this guide, we’re going to be speaking terms of multiple group pulls. The only mechanic of note here involves a canon or airship off-screen firing random, circular AoE shots into the fray. Once these enemies are defeated a section of the trench breaks open and you can continue. Garlean Fire – A cast, circular, ground AoE. You’ve made it out of the trenches and into the first boss encounter of the dungeon. Jarring Blow – Tank buster. A set of four uncast, circular, player targeted AoEs. Simply spread out. Magitek Slash – The Colossus will turn randomly and project a conal in front of himself. At the same time, one of two indicators will show up around the boss. The first possibility is a blue set of arrows spinning counter-clockwise around him and the second is an orange set spinning clockwise. Starting from his initial cone, and going in which ever direction the indicator has shown, the Colossus will slam down six cones of fire onto the arena, 1/6th at a time, until he returns to his initial position. Between his 4th and 5th slam, the first 1/6th will disappear and the party must move into it to avoid being hit. Exhaust – A linear AoE focused on a random party member. Ceruleum Vent – An unavoidable arena-wide AoE. Magitek Slash – This time the boss will repeat the six slashes around the arena twice. Both times, the direction he might choose to go will be random. Be aware that you might have to change directions in the middle of this mechanic, or circle him completely to get back to the initial safe spot. If you’re feeling brave, you can always cut backward, as well. Magitek Ray – A stacking AoE. The four uncast, targeted AoEs. Jarring Blow – It likely repeats from the top here, but I haven’t seen beyond this. Diffractive Laser – A cast, circular, ground AoE. Target Search – Places a marker with a medium-sized circular AoE on one player. In one of the impact craters, your party finds the next boss. Nitrospin – A literal spin that does damage and lays a ring of fire down around the perimeter of the arena. Shortly following this, Prometheus withdraws from the field, tunneling downward. Somewhere on the edge of the arena, a round section of rock will begin to glow red from Prometheus charging his laser. Clear to one side of the area and don’t head back toward the center immediately after his shot goes off. Unlike most AoEs in this game, there is a bit of left over fire just waiting to catch you off guard. Unbreakable Cermet Drill – Tank buster. Needle Gun – A conal AoE aimed toward the tank. Oil Shower – This immediately follows Needle Gun and covers the 3/4ths of the arena that Needle Gun didn’t previously. Nitrospin – The same damage as before, but there’s already fire around the perimeter, so no additional fire needed! Freezing Missile – Prometheus leaves the battlefield again, but fires off four ice missiles before he goes. These space themselves out in a square and explode simultaneously, so find yourself a safe spot. Some people prefer the middle and some chose the edge between two missiles. Regardless, the damage difference between the two positions seems minimal. As you’re getting to your safe spot, check the edge of the field for the tell-tale glowing magma spot that indicates Prometheus is charging up. After the Freezing Missiles explode, move to a place that his laser won’t reach. Prometheus’ pattern repeats from Unbreakable Cermet Drill. Grand Strike – A linear AoE from the Colossus to a random player. 2 tonze Magitek Missile – A cast, circular, ground AoE. Magitek Missile – Centers a pulsing, proximity based AoE in the current area. Exhaust – The same as Mark III-B Magitek Colossus’ mechanic. Unbreakable Cermet Blade – A charged, heavy damage, area-wide AoE. Shortly before the cast bar completes, Kan-E-Senna will generate a bubble to shield the party from this damage. Grand Sword – A large, conal AoE centered on a random player. Self-detonate – At 55%, Rubricatus begins casting this, at which point one of the three NPCs previously mentioned: Yugiri, Hien, or Lyse, will limit break and kill him out-right. The NPC which does that is random in every instance, so keep an eye on it if you’re interested in seeing all three. Down another, higher cliff the final boss(es) wait for you in all their color-coordinated glory. I have seen both of the sisters take a turn as the first phase boss of this encounter and I believe you choose which sister will stay based on which one you attack first. 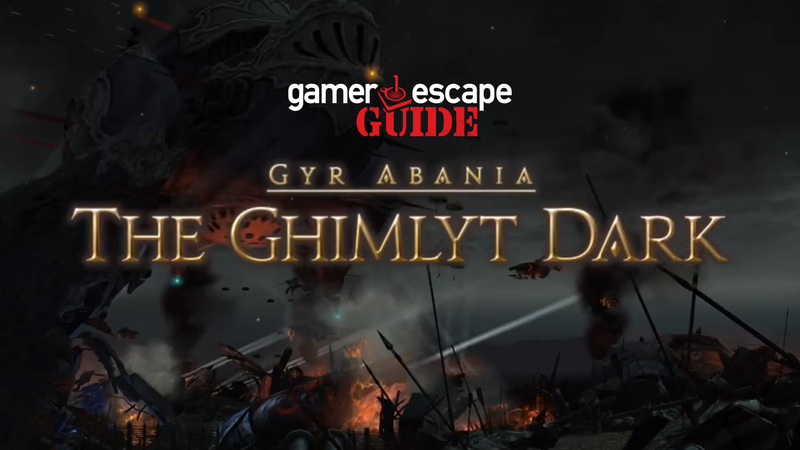 For this guide, we’ll assume Annia is the first phase enemy. Heirsbane – An unavoidable, low damage attack on a random, targeted player from Julia on the edge of the arena. Delta Trance – Tank buster from Annia. Order to Bombard – Annia calls for three, large, ground AoEs. The Order (version 1) – Outside the arena, Julia lines up four shots that project a linear AoE to each player. When the shots hit, they will knock you back, so make sure you’re not going to land in any of the AoEs put down by Order to Bombard. Angry Salamander – Annia does a linear AoE toward one random player. Artificial Plasma – An unavoidable, arena-wide AoE. The Order (version 2) – Julia spaces out four more shots, but this time they’re stationary and span the whole arena. Delta Trance – I believe the phase probably repeats here from the first Delta Trance. Once Annia’s HP has been zeroed out, both sisters jump and have a brief conversation about engaging the party together. Julia takes up center stage, forming up another X-attack, so position yourself to avoid the unmarked, linear AoE that comes from that. Meanwhile, Annia goes to the side of the battlefield, projecting a zig-zagging, thin, yellow line across the arena. Pay attention to where the thin line is! It’s going to disappear quickly. If you are too close to it then you will be hit by the attack that Julia has charged as she and Annia ping-pong the X indicator along the length of the line. High-five. The sisters swap out. Innocence – Linear AoE from Annia targeting one player and spanning the arena. Angry Salamander – On the edge of the arena, Annia will fire a linear AoE up through the center during Commence Air Strike. Avoid it while avoiding the bomb explosions. Order to Fire – Annia calls down 4, player center ground AoEs. The Order – Since she’s in the arena this time, Julia’s four shots form an X, with her at the center. There’s no clear pattern for how the fight continues after this, but expect the mechanics you’ve already seen. Once Julia hits zero HP, the sisters again jump and repeat their game of ping pong from the previous jump. This time each player will also be targeted with a movable AoE circle. Imperial Authority – After returning to the arena, together this time, the sister begin charging Imperial Authority. DPS the pair down before the gauge reaches full. Congratulations, you’ve completed The Ghimlyt Dark!